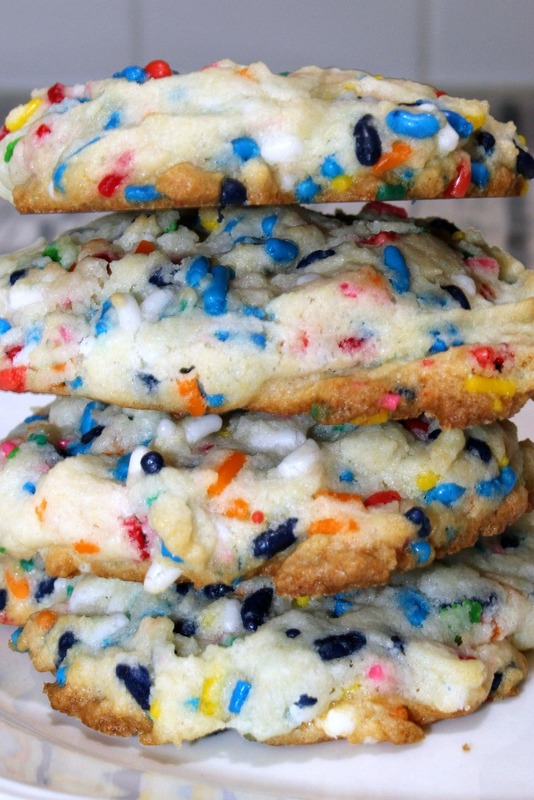 All of my kids love these cookies, because of well sprinkles! Sprinkles make everything taste better and of course, adds a ton of great color as well to everything! 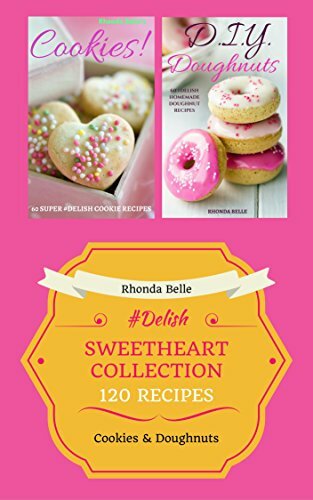 Isabella loves to make cookies, and before Kindle books and Pinterest, I have no idea how we would come up with new ideas for cookies!! 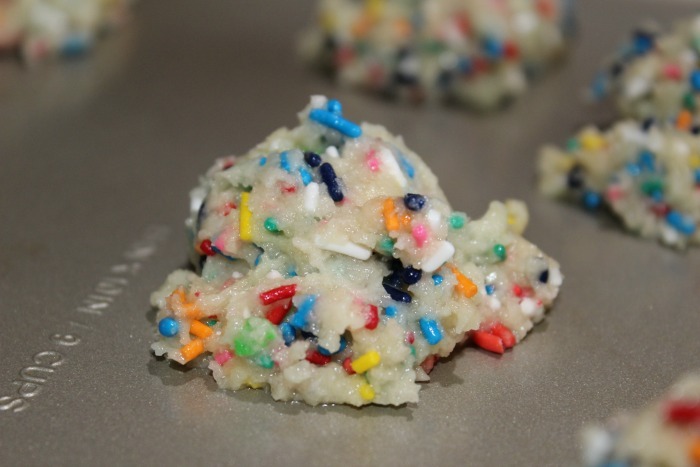 We were surfing Pinterest when we stumbled upon Cookin” Cowgirl recipe for cake batter cookies, we reduced the number of sprinkles due to what we had on hand and swapped out for a white cake mix. I use a cookie scoop to scoop mine onto a cookie sheet. This makes the cookies shape perfect and I don’t have to form balls or try to scoop with a spoon. See even the dough looks colorful!!! See what I mean by the sprinkles make the whole cookie!! Plus they are super soft as well!! 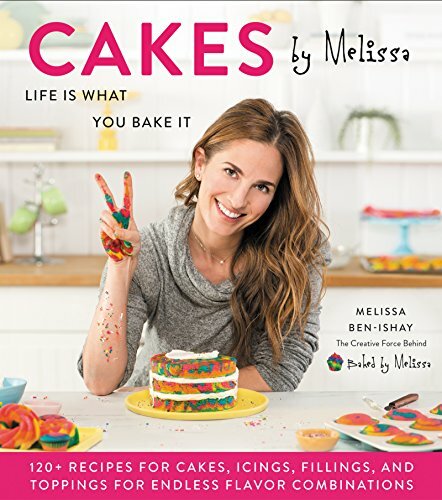 Do you make cookies with cake mix? Which ones do you make? 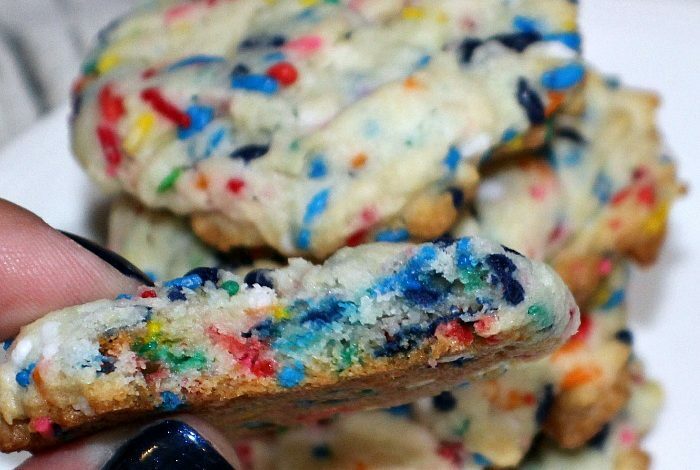 These Funfetti Cake Batter Cookies are perfect for families or to take to potlucks! 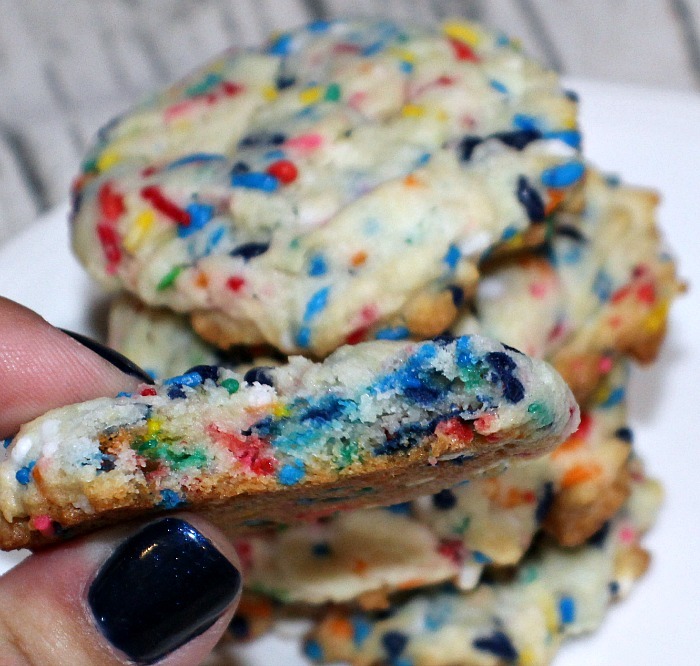 Cake mix and sprinkles make these cookies amazing! 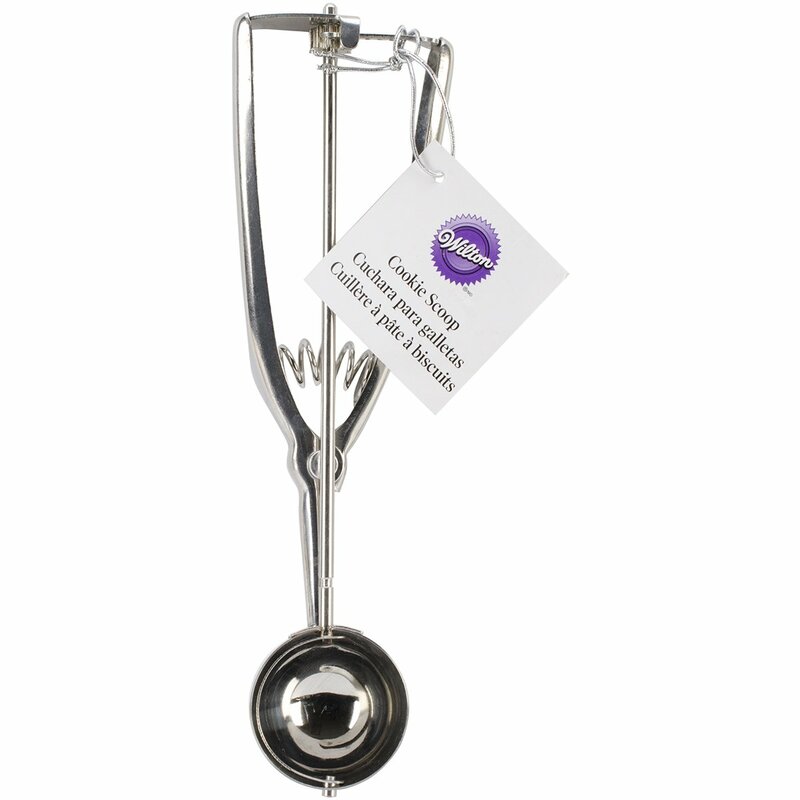 I use a cookie scoop to scoop mine onto a cookie sheet. This makes the cookies shape perfect and I don't have to form balls or try to scoop with a spoon. These look really good! 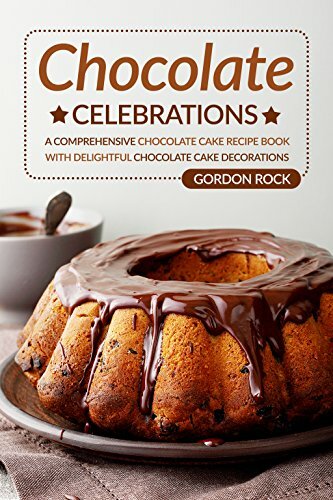 I am going to have to give them a try with some gluten free cake mix! 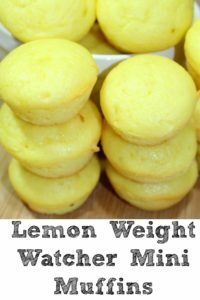 These look yummy, I’m going to try them with my 3 year old~! 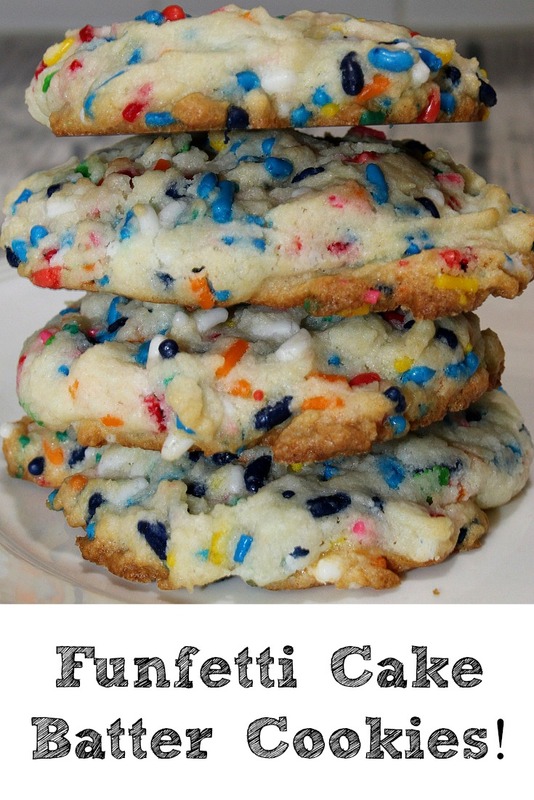 I love, love, LOVE funfetti so I need to try these cake mix cookies ASAP. Adding the ingredients to my shopping list! 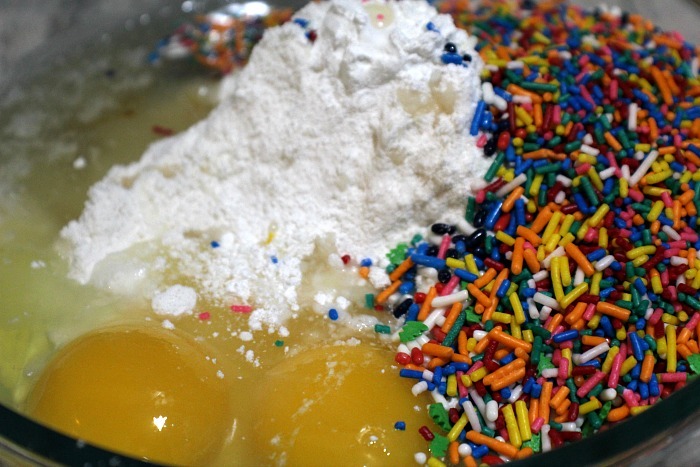 This recipe made me think of how much I used to love sprinkles when I was a kid. I love when random things bring back memories. Definitely will make this for Christmas ? using red and green sprinkles! 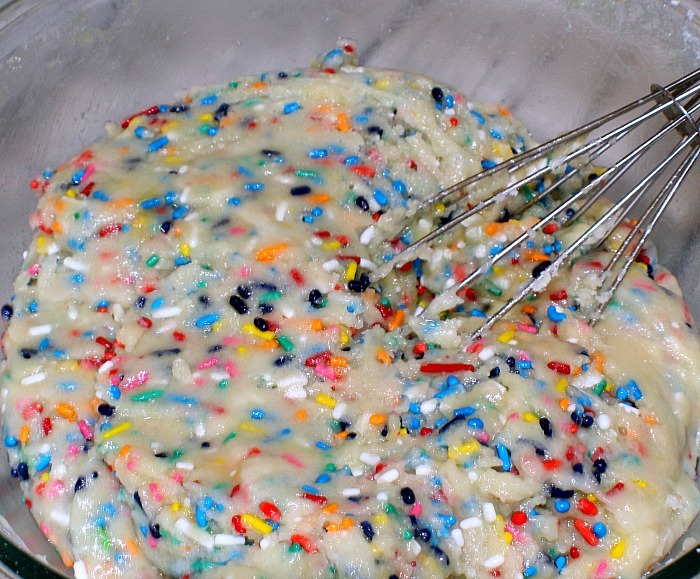 Can you use funfetti cake mix or does it have to be a white cake? do you do it the same way if you already have the funfetti cake mix?